Process 9 is software company engaged in development of Asian language enabling technologies and Media industry software solutions for Asian market and offers services on the same. 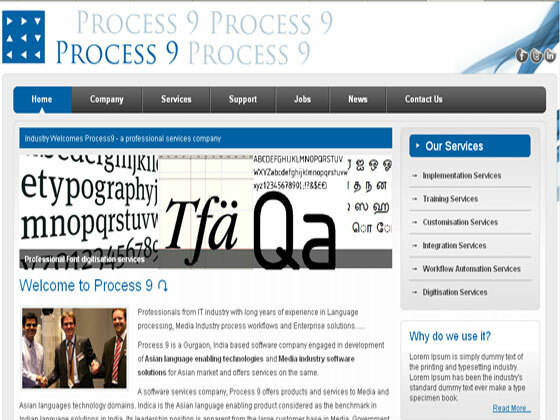 Process 9 website is on drupal. 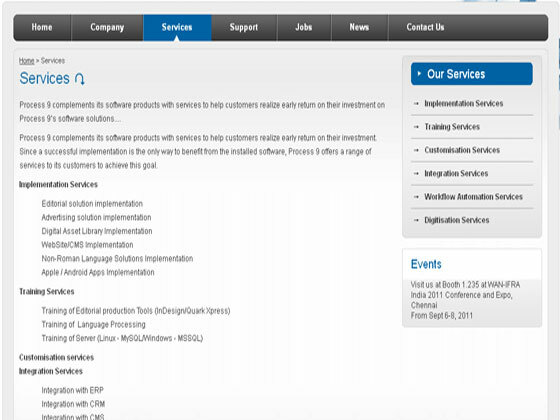 For process 9, Our Drupal designers have created creative drupal theme and setup client sitemap as per the client requirement.